It's that time of year again...time to undo the damage that was done during the partying craziness that is known as the holiday season. 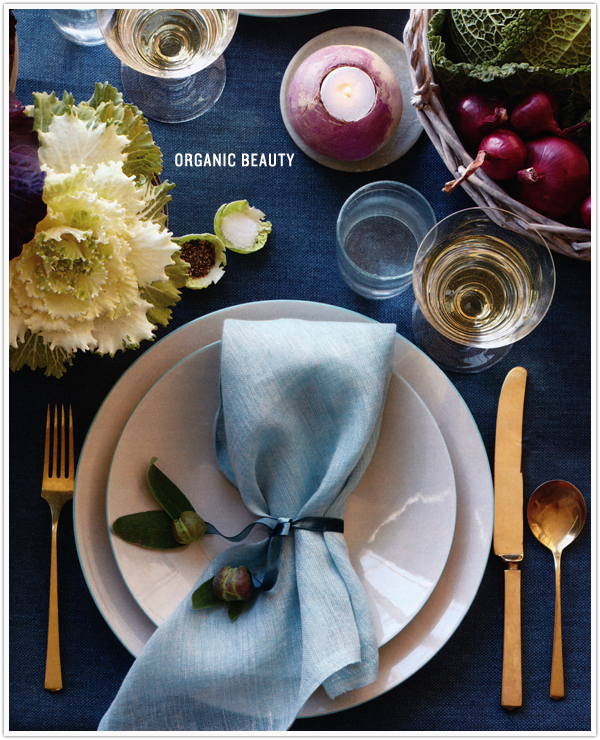 If you're going to have to look at vegetables, it might as well look pretty, right? Thank goodness for Martha Stewart then...I ripped these pages out of her November MS Living issue and said, I will save these fab ideas for a more vegetable friendly time. And that I did! 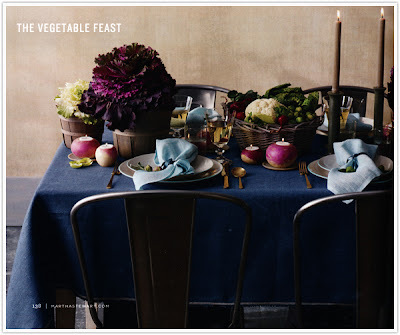 Check out this beautiful, rustic table that uses winter vegetables as table decor. I love the idea of using purple cabbage for the arrangements! It's so naturally pretty...who knew? 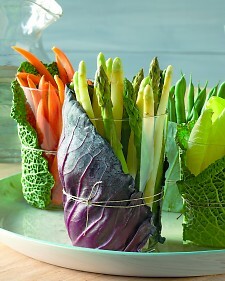 I love these crudite holders using simple glass cups and leaves. 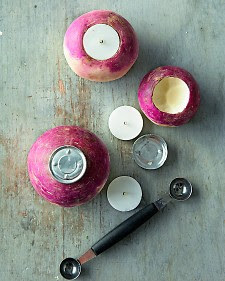 This is kind of like mini pumpkin carving - here's a how to to make these natural looking turnip candles. If you have to end with a sweet treat (no judgement here! 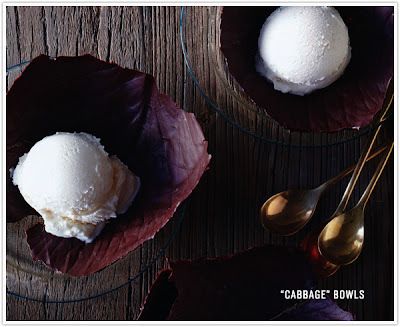 ), try making these chocolate shells using cabbage leaves for a pretty shape. How fantabulous are these?! These would impress even your snobbiest friends. If you choose to have snobby friends...which sounds terrible. So pretty... and, this is the first time I've seen your blog on my computer (instead of my reader on my phone) in a while and I am loving your design!